Do you need to complete parts of the curriculum on your e-portfolio which you do not cover in day-to-day practice? If so, try some of our free e-learning mapped directly to the Foundation Professional Capabilities (Training Outcomes) in the 2016 Foundation Curriculum. The e-learning sessions in Professional Capability: 20 “Contributes to quality improvement”, look at audit and evidence based practice. It outlines the study designs used in medical practice. You are provided with a guide to developing a structured research strategy which will help you find journal articles relevant to your clinical questions. How to evaluate a journal article is discussed using a linked example paper from the British Journal of Anaesthesia. 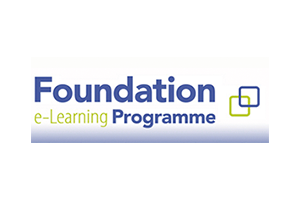 Sign in to the e-learning with your login supplied by e-LfH at the beginning of your foundation training: https://www.e-lfh.org.uk/programmes/foundation-programme/.